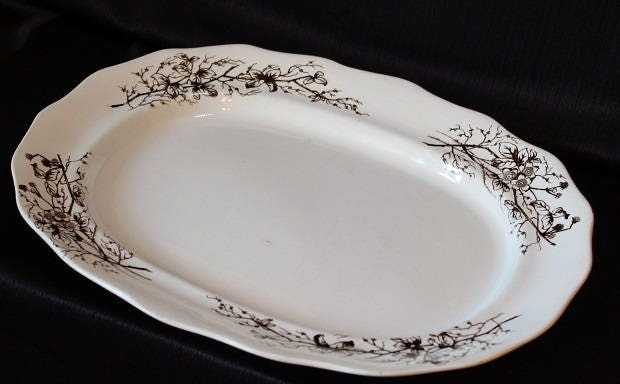 This oval serving platter is perfect for serving that special dish or displayed on a wall. 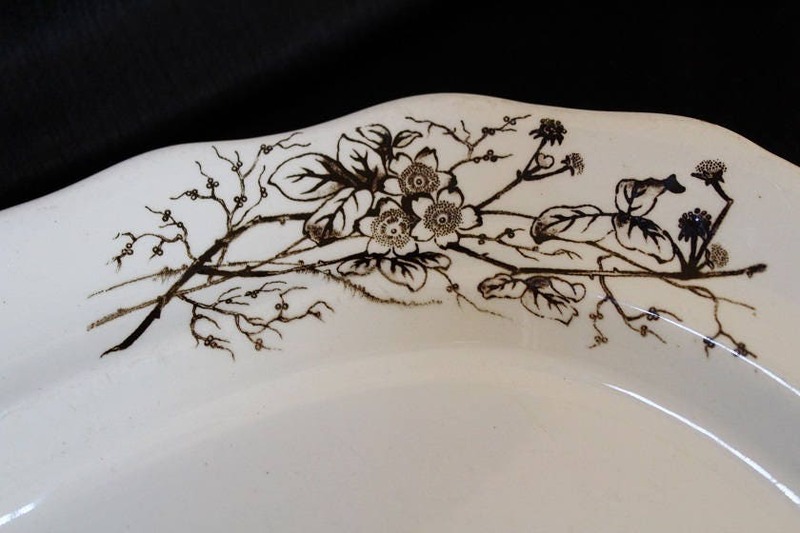 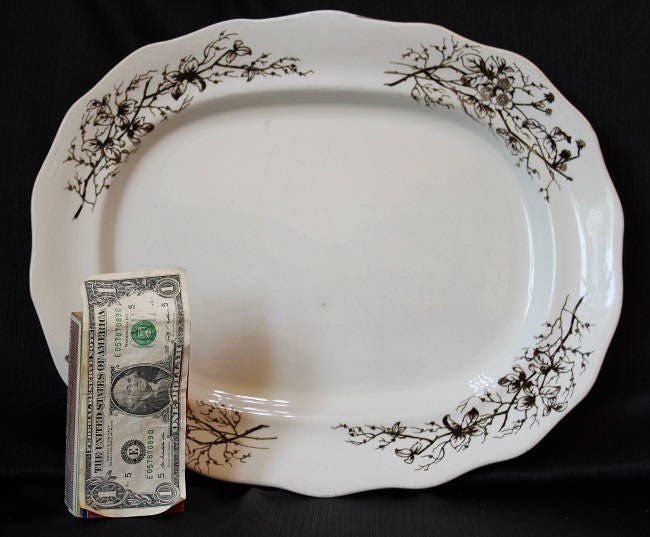 It is a large serving dish with an overall white/cream color with a brown floral and leaf pattern placed at the corners of the plate. 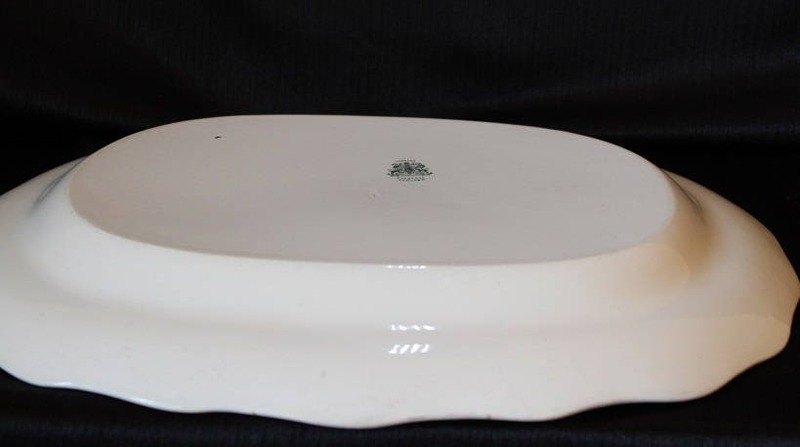 The back of the platter is a solid white/cream color. 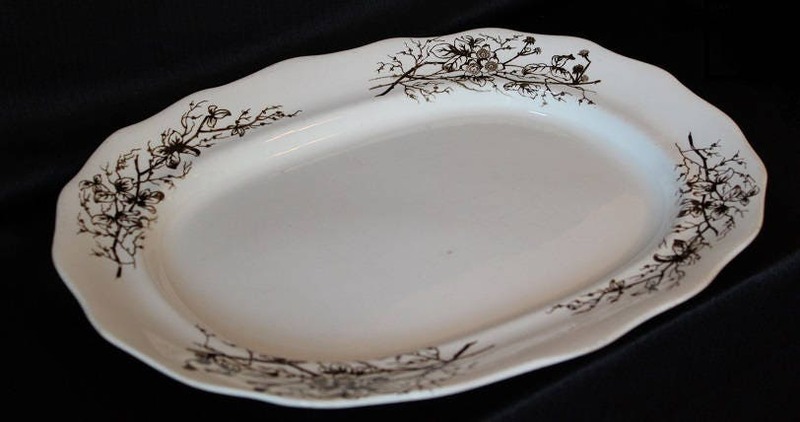 The plate is marked "Turner's Turnstall England" on the back.